* Stop entering budgets manually. * Save time and avoid costly data entry errors. * Easily update and maintain cost category budgets. Project Accounting budgets by cost categories facilitate revenue recognition and management reporting; however, keeping these budgets up-to-date can be an onerous manual process. PA Budget Importer provides an easy-to-use Excel-based import tool for the setup and on-going updates of cost category budgets. * Eliminate annoying ‘account missing’ errors. * Quickly validate projects and ensure they are linked to an active GL account. Project Accounting's powerful multi-dimensional account sourcing with segment overrides can create situations where a target GL account is required that does not exist in the system. This creates frustrating error messages. PA GL Validator creates an exception report that quickly identifies missing target GL accounts. GL validator eliminates annoying ‘account missing’ errors on transaction entries, and generates a list of all missing target GL accounts. * Customers, contracts & cost categories. * Time and expense data by employee and manager. * Purchase orders and payables. * Actual budget and forecast. There are currently no reviews of PA Tools. 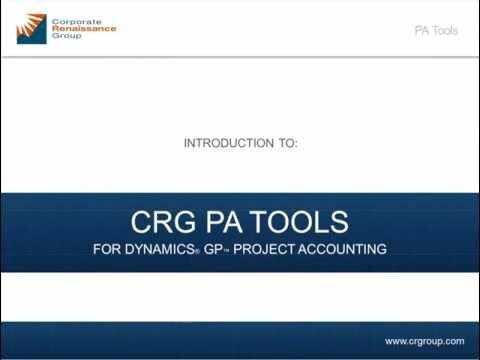 Below are some frequently asked questions for PA Tools. Q. What type of pricing plans does PA Tools offer? Q. Who are the typical users of PA Tools? Q. What languages does PA Tools support? Q. Does PA Tools support mobile devices? Q. Does PA Tools offer an API? No, PA Tools does not have an API available. Q. What other apps does PA Tools integrate with? Q. What level of support does PA Tools offer?